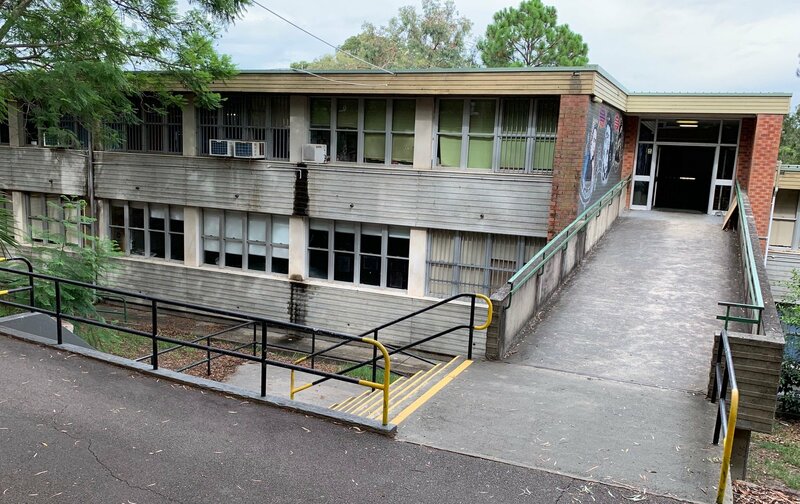 One of the Lake Macquarie High School buildings in desperate need of attention. I've welcomed news that an extra $6-million will be spent on clearing the backlog of maintenance work at local schools. The money will allow the backlog to be completely cleared at every school in the Lake Macquarie electorate by July next year. Our local schools are extremely important assets and I’m very pleased they’re getting some long-overdue attention. I know that schools such as Lake Macquarie High School have a maintenance backlog that will cost several million dollars to clear. This money, which will come in addition to existing maintenance funds, will get maintenance and repair works under control. We have three public high schools and 25 primary schools in the electorate and I’m certain that every one of those schools will welcome this funding for things such as carpet replacement, painting, roof and playground works. I believe the State Government should be investing as much as possible in our schools and in education, so this additional funding is very welcome news. Education Minister Rob Stokes said the Government’s commitment to wiping the slate clean on school maintenance is “the largest investment into public school infrastructure by any State Government in Australian history”.